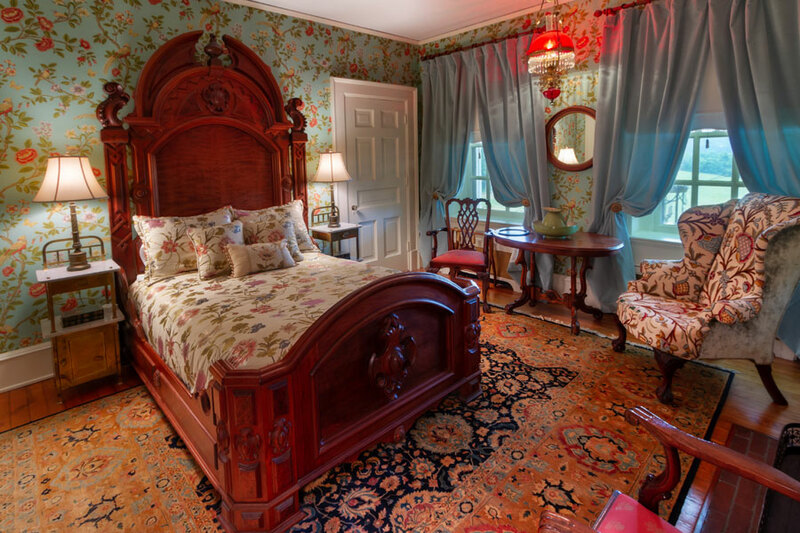 Named after George Mason’s historic Gunston Hall located in Fairfax County Virginia, this room has lovely antique furnishings including a striking queen size bed. The warm, cozy room has both a fireplace and a spacious en suite bathroom equipped with a large antique claw-foot bathtub and a separate walk-in shower. The room overlooks the mansion’s beautiful columned south portico and has picture perfect views of the Blue Ridge Mountains.